Finding one bag that suits all of your traveling needs is near impossible. Some trips require a large suitcase with wheels to help you handle the heavy load, others a duffle bag for a casual weekend trip, and others a backpack for easy mobility. That means, that if your travel needs vary drastically, your closet is likely full of different types of bags for different types of trips. 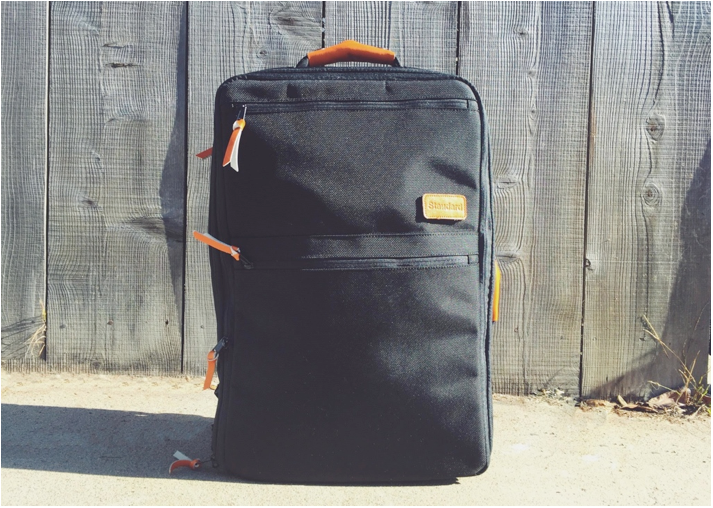 So when I find a bag that is versatile and can handle various kinds of travel, I’m intrigued. 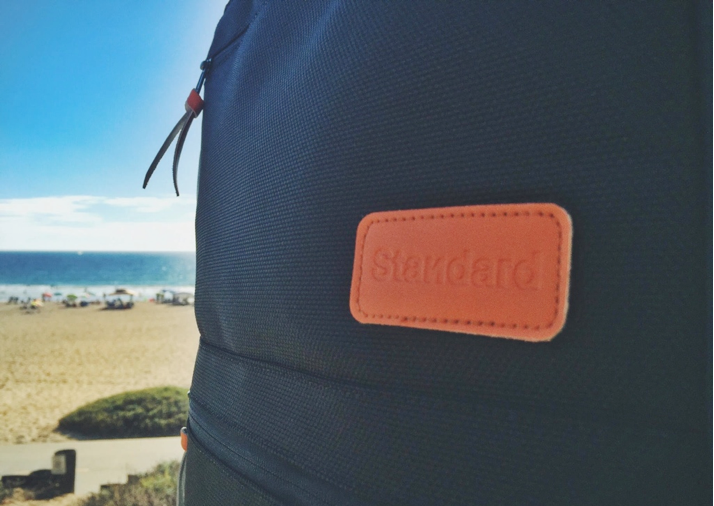 One such bag (which I recently had the pleasure of testing during a weekend trip to Manhattan Beach, California), is the Carry-On Backpack from Standard Luggage Co. — which was successfully funded on Kickstarter this past April. At first glance, the Carry-On Backpack looks like a small suitcase. 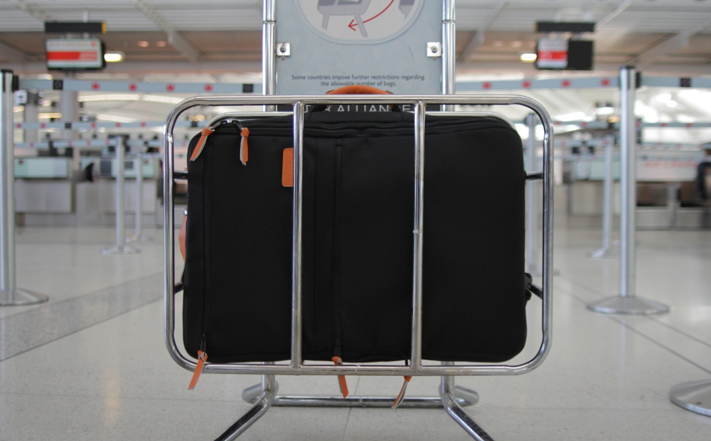 In fact, it’s perfectly sized to come in just under the strict maximum-sized carry-on standards set by airlines (so it’ll always fit in the pesky metal sizing contraption — photo below). 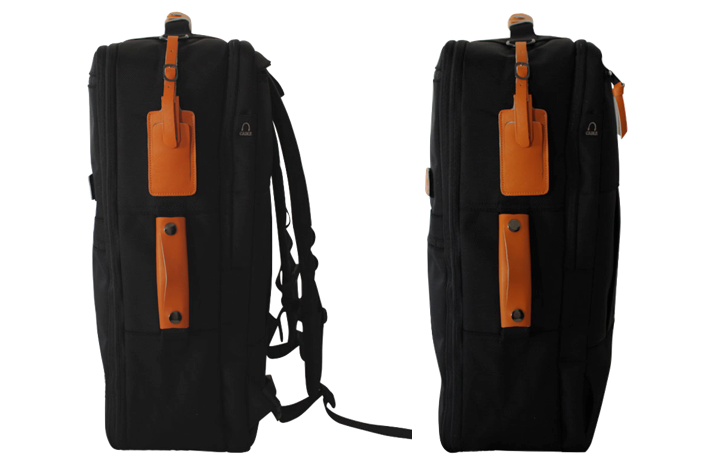 But just unzip the beautifully hidden and padded straps, and this bag turns into a backpack that’s comfortable to wear. Don’t feel like wearing a backpack (perhaps when you’re entering a more professional setting)? Tuck away the backpack straps and you can hold the bag like a duffle via the leather side handle, or attach the included shoulder strap and carry it like a messenger bag. But this bag isn’t just versatile, it’s also functional. 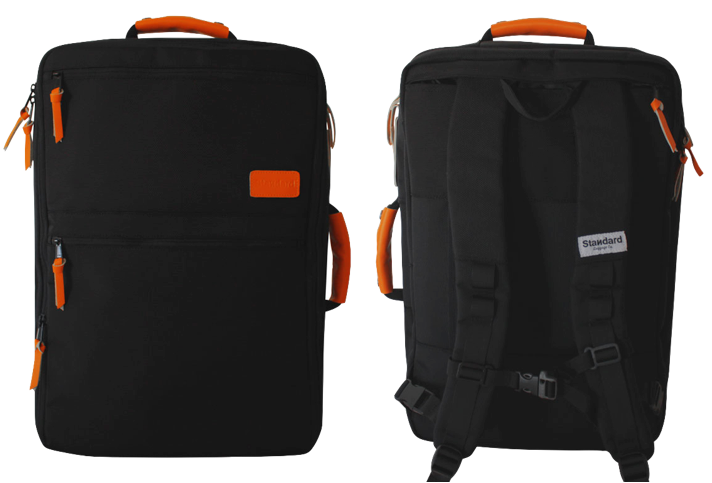 There’s a roomy central compartment that opens clam-shell style to allow for easy packing, and tons of thoughtfully designed pockets for optimal organization (including a large pocket at the back of the bag that houses a padded laptop sleeve, a tablet sleeve, and several smaller organization pockets). But two of my favorite features, however, are the integrated sleeve on the bag’s back that allows it to be slipped over the handle of a rolling suitcase for easy combined carrying (see 2:23 in the video below) and the interchangeable leather accent colors that allow for a touch of customization (see all the orange leather pieces in the photos below? Those all come off and you’ll get a spare set in teal). Best Usage Scenario: Long weekend trips (especially those that involve a plane ride), where you want the look, space and packing ability of a suitcase, but the lightness and mobility of a backpack. For this bag’s vital stats, keep scrolling. 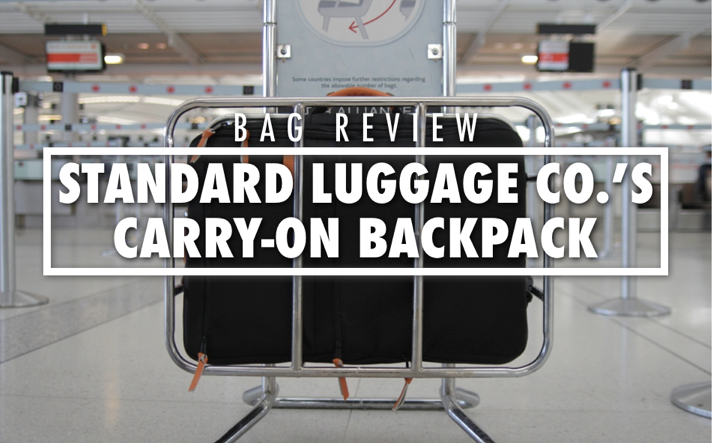 This post was sponsored by Standard Luggage Co. 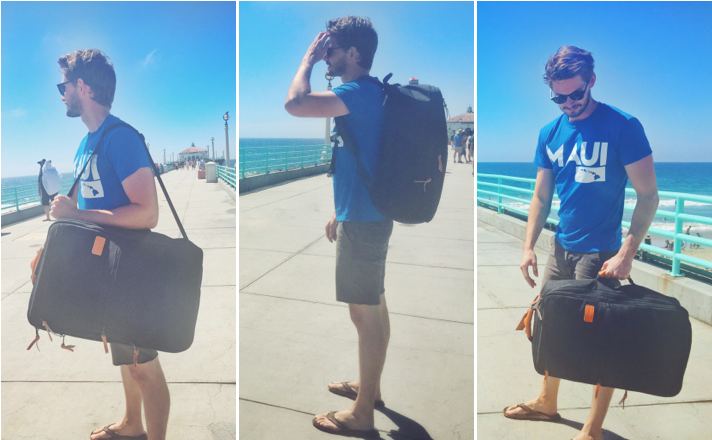 But for real, I am stoked to travel with the Carry-On Backpack on short trips that require a light and versatile bag! Hi Richard.Yes there is a sternum strap that can be clipped across the chest. Check out the video and the second photo from the bottom for more details.